SILVERTON, Ore. April 17, 2017 —The Oregon Garden is excited to announce the additions of camping, an artisan vendor market and a Father’s Day 5k run to their 13th annual Oregon Garden Brewfest, presented by Venti’s Restaurants taking place over Father’s Day weekend, June 16-18, 2017. New this year, attendees will have the option to camp inside The Oregon Garden, providing a unique way to fully enjoy the 120 handcrafted beers, ciders and meads available. Event hours are 3pm to 11pm Friday, noon to 11pm Saturday, and noon to 6pm Sunday. The event will feature local food carts throughout the weekend, along with an artisan market featuring local vendors selling handmade goods. Bands from across the region will be performing live each day of the event. The new family-friendly Father’s Day 5K run will start at 9am on Sunday, June 18th, and take place fully inside The Oregon Garden, winding through Garden paths and among 60,000 annual flowers planted in the Garden each year. Participants will receive admission into the festival, a t-shirt and a full glass of beer after the run. For more information visit: http://www.oregongarden.org/brewfest-5k/. The Oregon Garden is offering 150 campsites, located on Garden property, just a short walk from the event. Guests can choose between walk-in sites, RV sites and car-camping sites. Camping starts at just $120, and requires purchase of a 3-day festival pass. Keeping with the festival feeling, community camp fires will invite guests to gather around and enjoy the evening. Advance admission pricing starts at $15 and includes options for a one-day ticket, 3-day ticket or VIP ticket. All admission packages include a souvenir pint glass and tasting tickets. Minors are allowed from noon to 5pm on Saturday and all day Sunday. For more information about pricing for camping, the Father’s Day 5K and admission options, please visit www.oregongarden.org/events/brewfest. Tickets and camping spots are available for sale now at https://nightout.com/events/oregon-garden-brewfest/tickets. If you’re looking for a more luxurious getaway, there are also hotel rooms available at the Oregon Garden Resort, located just steps from the festival. Brewfest hotel packages start at $229 and include breakfast and event tickets. For more information and to book your package, visit www.oregongardenresort.com/special-pkg or call 503-874-2500. Oregon Garden Brewfest is still looking for vendors to fill spots in the new artisan vendor market. To apply to be a vendor this year, visit https://oregongarden.wufoo.com/forms/kw979oz0648m7y/. Help the Garden kick-of the festivities at the Brewer’s Tasting Dinner on Thursday, June 15 at 7pm. Enjoy a six-course plated dinner paired perfectly with unique beers chosen from six breweries. This is a fun opportunity to meet local brewers and mingle with fellow beer lovers.Only a limited number of tickets are available at $60 per person. To purchase tickets, visit https://www.eventbrite.com/e/brewers-tasting-dinner-2017-tickets-28794852178. The Oregon Garden Resort is also featuring a special Brewer’s Dinner overnight package starting at $259 that includes tickets to the Brewer’s Tasting Dinner, admission to Brewfest, food vouchers redeemable at the Oregon Garden Resort food booth and breakfast. Book online at www.oregongardenresort.com/special-pkg or call 503-874-2500. 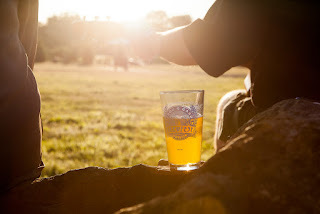 The Oregon Garden Brewfest is presented by Venti’s Restaurants and sponsored by the Oregon Lottery, Renewal by Andersen, Goschie Farms, Imperial Bottle Shop, Kona Ice and North Willamette Valley Habitat for Humanity. For more information, visitwww.oregongarden.org/events/brewfest. About The Oregon Garden: The Oregon Garden is a stunning, 80-acre botanical garden, showcasing the area’s natural wonders. Less than an hour south of Portland, the Garden features 20 specialty gardens, including the Children’s Garden, Northwest Garden and Conifer Garden. The Garden aims to provide an educational experience for gardeners of all skill levels and ages. In addition, the Garden is pet-friendly, offers a tram tour April - October and is adjacent to a Resort. There are also special events throughout the year, including Oregon Garden Brewfest and Christmas in the Garden. Open 7 days a week, 365 days a year.